Roof Failure and the Ripple Effect! So I was walking around the outside of a home the other day doing a Home Inspection in Nashville Tennessee and saw something frightening, yet all too familiar. See the picture below. I wondered how the seller could leave this for a potential buyer to see, easily, and I wondered what caused this damage to begin with. Then I also thought, how far does this go? Where does the damage stop? What is the ripple effect? So if you see this type of damage, what do you think caused it and where does the damage stop? HINT: Water follows the path of least resistance. What could be the water source of the damage in this pic? ANSWER: A possible source of this damage is in the background of the pic above. 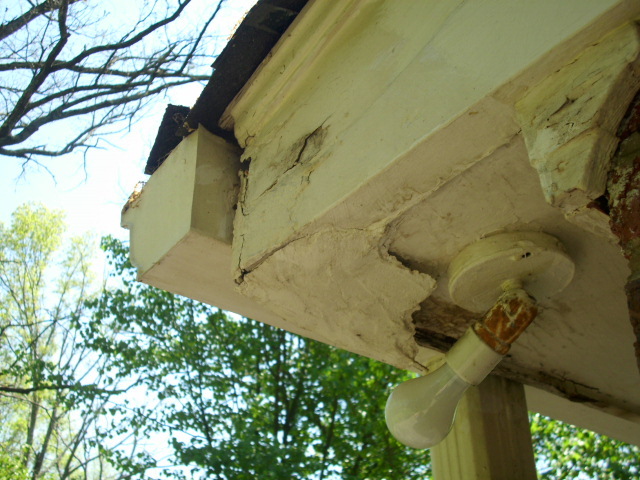 Note the gutter and downspout behind the damaged eave. To see how this all got started you have to go up on the roof. Look at the pic below. This is the view looking down from the roof on this same corner of the house. 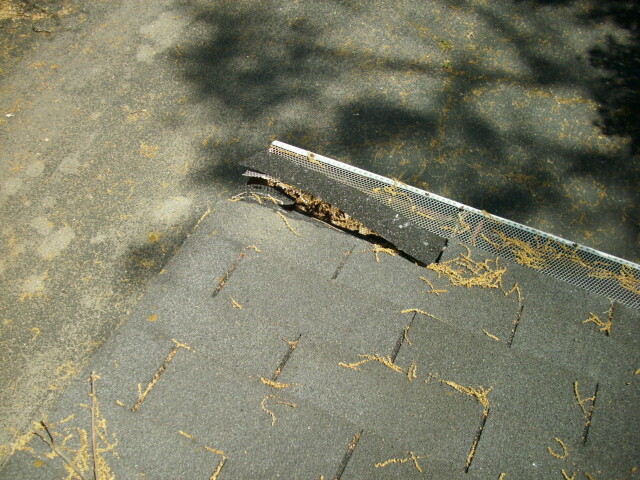 Notice the loose and lifted shingle. You can see debris has a path into the gutter from here. What you cannot see is how clogged the gutter is. A lot! Sometimes people think that once they install gutter guards they are done cleaning gutters. NOT SO! 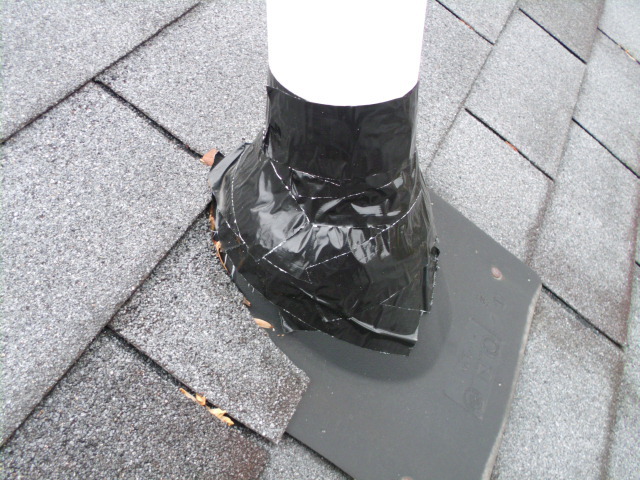 Even in a well maintained gutter system with gutter guards a lot of little stuff gets by gutter guards and can eventually clog the gutter/downspout. Not sure why the shingle broke loose, but it is consistent with all else that is going on in this corner. Was the shingle the victim of the ripple effect or ground zero for the start of the ripple? You can see that by color this shingle looks newer than those around it so this may be a poor attempt at a roof repair that also failed. So, back to the ripple effect. 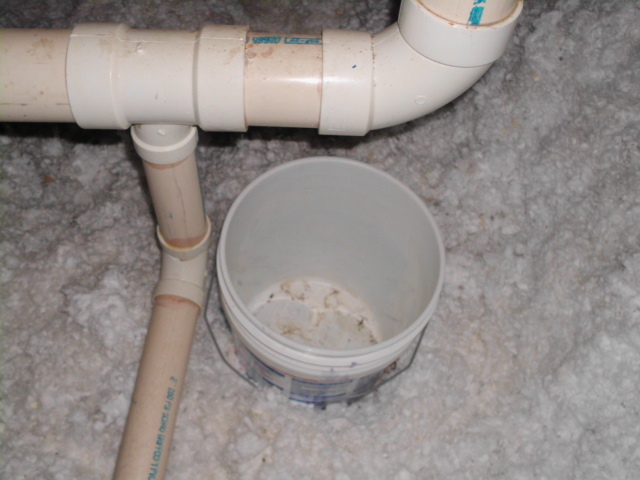 Hard to know what came first in the pic above, the loose/damaged shingle or a failed/clogged gutter/downspout system. Regardless, the water management system failed at this point and the ripple effect was to damage the eave below as the gutter/downspout clogged and water followed the path of least resistance to the eave. So do you think the ripple effect is done? Think again. Let’s take a walk inside the attic to this same area of the home. Remember, the roof, eaves and attic are all connected and rather closely. Look at the pic below. This is the area of the attic opposite the corner of the failed gutter and the damaged eave. 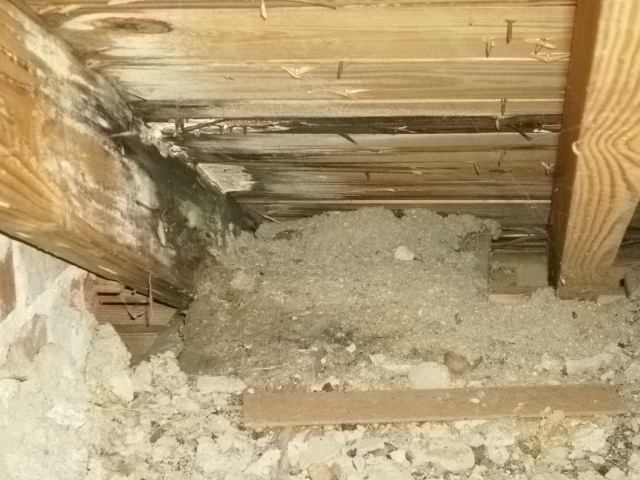 Look how much water intruded and all the damage it did inside the attic. All because of a failed gutter. The only question remaining is how long was this allowed to go on. I suspect a long time. Fortunately this did not show up inside the home, yet. But it is only a matter of time before it does, because of the ripple effect.